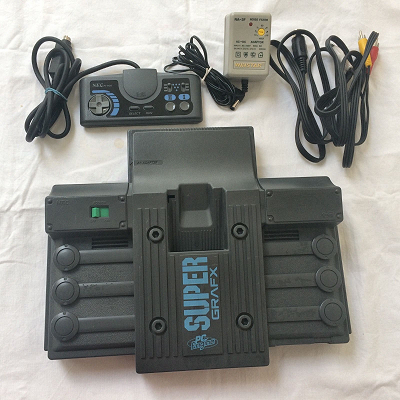 The SuperGrafx by NEC was released exclusively in Japan back in 1989, and was an interesting and substantial upgrade of the original PC Engine, that managed to remain compatible with both the hardware and the software released for its predecessor. Sadly, only seven games were released exclusively for it as the console really didn't do that well. It's thus rather rare and definitely collectible. Interested? Good! Here's a fully working PC Engine SuperGrafx auction on eBay. The console seems to be in fine condition and comes with controller, AV cable, and power supply.